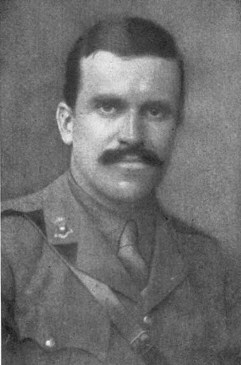 Mr. Donald Hankey was killed in action on the Western Front on October 26, 1916. THERE is nothing in literature rarer as there is nothing more attractive than the note of originality. We can all of us now make fairly good copies, but unfortunately a copy, however accomplished, is always a copy. In literature, moreover, we do not merely have first-hand copies of great models, but copies of copies of copies. Smith does not model himself on Stevenson direct, but upon Jones, who again copies from Robinson, who derives through Brown, White, Black, Green, Thompson, and Jackson. What the reader of these Essays, if he has any instinct for letters, will at once observe is the absence of the imitative vein, not only in the presentation of the thoughts but in the thoughts themselves. The Student in Arms cannot, of course, find essentially new subjects for his pen. It is far too late to be ambitious in that respect. Besides, in dealing with war and the men who go forth to battle, he must necessarily treat of the great fundamental and eternal realities---of life, death, the love of man for his fellows., sacrifice, honor, courage, discipline, and of all their effects upon human conduct. It is in his handling of his themes, in the standpoint from which he views them. that the Student shows the originality of which I speak. The way in which he manages to escape the conventional in word and thought is specially noteworthy. Most men nowadays can only achieve freedom here at a great price---the price of persistent effort. The Student in Arms, like the Apostle, had the felicity to be born free. Nature appears to have endowed him with the gift of seeing all things new. He perpetually puts things in a fresh light, and yet this light is not some ingenious pantomime effect. It has nothing forced or theatrical or fantastic about it. It is the light of common day, but shed somehow with a difference. I would rather leave it at that, but if I must try and push my analysis farther, I should say that the special quality of mind that the Student in Arms has brought to his anatomy of the mind and soul of the British soldier---the Elizabethans would have called his book The Soldier Anatomized---is his sense of justice. That is the keynote, the ruling passion, of all his writing. There is plenty of sternness in his attitude. He by no means sinks to the crude antinomianism of "to understand all is to pardon all." His ideal of justice is, however, clearly governed by the definition that justice is a finer knowledge through love. He loves his fellow man, and especially his fellow soldier, even while he judges him. That is why his judgments, though they are meant to be and are practical reports on the mind of the soldier, are in the best sense, works of art. They have in them the essential of all art---passion. It is not enough to say there is no art where there is no passion. Wherever there is passion there is art. Beyond this originality of view, this finely tempered sense of justice through love, and this passion and so creative force, there is a genial sense of humor and a scholarly feeling for words, which sent the Student in Arms forth wonderfully equipped for the task he has chosen. He is the critic in shining armor who stands guardant regardant beside the soldier in the field. They plunged headlong down the stony path of glory, but in their haste they stumbled over every stone!, And when they did that they put us all out of our stride, so crowded was the path. Were they promoted? They promptly celebrated the fact in a fashion that secured their immediate reduction. Were they reduced to the ranks? Then they were in hot water from early morn to dewy eve, -md such was their irrepressible charm that hot water lost its terrors. To be a defaulter in such merry company was a privilege rather than a disgrace. So in despair we promoted them again. hoping that by giving them a little responsibility we should enlist them on the side of good order and discipline. Vain hope! There are things that cannot be overlooked, even in a "
what could they do but smile? With all sincerity a Commander of today might parody Wolfe and declare that he would rather have written that passage than win a general action. THE articles which follow owe their existence mainly to two persons, of whom one is the Editor of the Spectator, and the other is---not myself, at any rate. It was the second who made me write them in the beginning, and it was Mr. Strachey who, by his constant encouragement and kindness, constrained me to continue them. If there is, as he says, any freshness and originality in them., it is the result, not of literary genius or care, but of an unusual point of view, due to an unusual combination of circumstances. So let them stand or fall ---not as the whole truth, but as an aspect of the truth. In them fact and fiction are mingled; but to the writer the fiction appears as true as the fact, for it is typical of fact---at least in intention. My thanks are due, not only to the Editor of the Spectator, who is godfather to the whole collectively, and to nearly every article individually, but also to the proprietors of the Westminster Gazette, to whose courtesy I am obliged for permission to include "Kitchener's Army" and "The Cockney Warrior." VIII OF SOME WHO WERE LOST, AND AFTERWARD WERE FOUND. XIV A MOBILIZATION OF THE CHURCH. This page was last modified on 25 September 2008, at 00:12.